From quality genetics to excellent management, Hypor provides producers with the tools to maintain high production from farrow to finish during summer’s hot spells. With nucleus facilities located in warm regions, Hypor selects genetics with a high heat-tolerance, as well as provides pork producers with the research and knowledge to reduce heat stress. Take care of a pleasant climate and enough ventilation. Put the desired minimal temperature of your ventilation system 1 or 2 degrees higher in summer to prevent high fluctuations in temperature and ventilation at night. Utilize the air inlet via the shadow side. Air inlets can be equipped with cooling pads. Evaporating the water lowers the temperature of the incoming air by up to 6 degrees. Prevent high temperature and ventilation fluctuations, especially drafts. Nebulizers can improve the comfort zone of the animals, such as in the gestation barn. When these devices are installed, you need to be aware of the humidity levels you are creating––high humidity increases stress for the animals and reduces the efficacy of coolpads. Manage feed times. Feed the pigs during the cooler periods of the day. 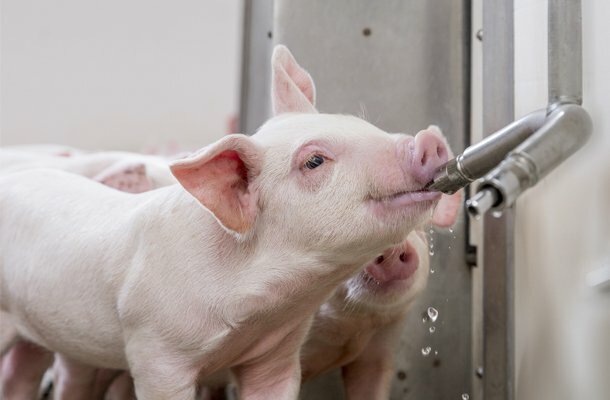 For a longer hot period, we recommend giving pigs a feed that is high in energy to accommodate for their lack of appetite and low energy intake. Adapt your management. Add vaccines or medications during the early morning or late evening when the temperature in the barn is low. Provide pens that are comfortable and spacious. Ensure that pigs are able to rest during the hot hours of the day and reduce stress by not overcrowding. If you have any questions about heat stress please ask your veterinarian or contact your local Hypor representative for advice on how to handle manage pigs in the hot weather.